(Shameless plug – don’t forget to vote in American’s AAdvantage Tips Facebook contest for a chance to win 5,000 AAdvantage Miles. You can also vote for your favorite Expert Tip (I’m participating) and help me win some miles to give away on the blog and to donate to AA’s Miles for Kids. Back in November of last year, American improved the award booking process by enabling you to use aa.com to book AAdvantage award travel on partner carrier Alaska Airlines. 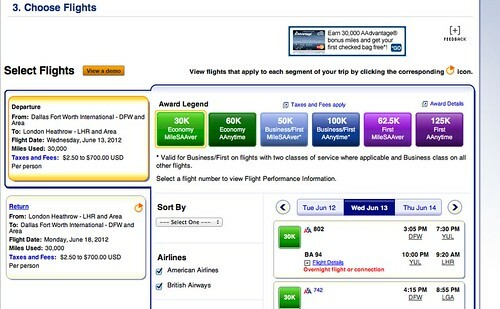 • By end of 1Q, customers will be able to book routes continuing BA flights using AAdvantage award miles on AA.com. Over the weekend, the web ninjas at AA.com deployed an update to the site and now you can search for AAdvantage Awards space on British Airway and hawaiian airlines! As an aside, there’s lot of availability on British Airways, but then that might be a result of the hefty fees that attach to award tickets. I might consider paying the fee for a premium class ticket on their 747 from DFW to London, but not on any other aircraft and certainly not in coach. When you have a choice between American or British Airways, you’ll get much more value from your miles if you choose to redeem them on AA flights instead of BA. 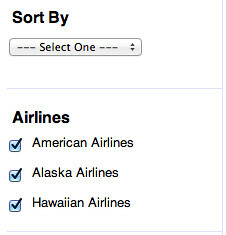 Despite my grumbling about BA’s fees, it’s nice to be able to search their inventory for award space. My brother and I have been kicking around the idea of a trip to Istanbul and have had to use KVS Tools and the Qantas website to search for availability. This makes it as easy as looking up a flight to Indianapolis. $10 to Hawaii – what a bargain! This is a great improvement. 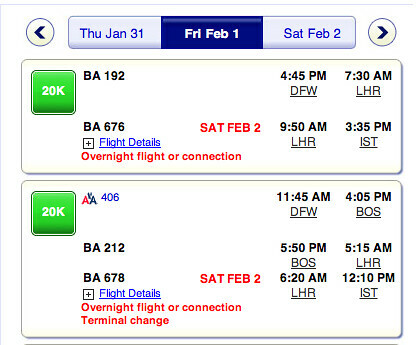 AAdvantage already offers more ways to use your miles and they continue to make it easier. A big high five to Team AAdvantage and the IT team at AA.com! Thanks for the detailed review. So who is winning that tip contest? I haven’t checked lately and can’t check from phone. @ The Weekly Flyer – I just looked and you’re in the lead, just ahead of the Frugal Travel Guy – could be a photo finish! 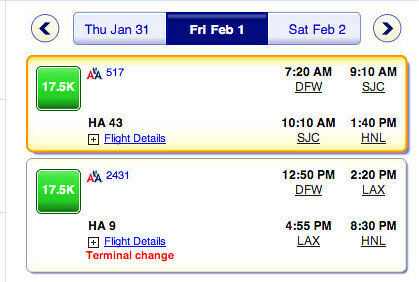 @ RTC – I know what you mean…too bad that the competition will have zero effect at delta.com. Really excited about the addition of partners. BA obviously has fuel surcharge issues, but Hawaiian opens up a few fun destinations like Tahiti, American Samoa, and Osaka. With AA’s North American gateway rules, stopping over in HNL on the way too and from those sights is just icing on the cake!